Updated: 2012-11-29. Something not right? Please update the information. Rocky beach. Water is cold even for northerners. PFDs are a must. Hiking trails, formal campfire circle, fishing, canoeable water, canoes available. Camp Dechinta is located just outside the Prelude Lake Territorial Park. 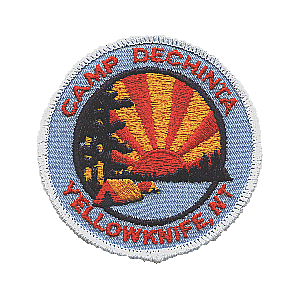 The camp is jointly owned by Yellowknife Region Scouting and Guiding organizations. Most of the administration of the site has been done by the Guides over the last 10 years, but Scouting activities are still carried on sporadically. One two-room cabin with wood stove heating. Open sleeping area for up to 20. Propane griddle, stove and fridge. Picnic tables inside for dining area. The second room is mainly for wood storage at present. Small selection of snack foods available at nearby lodge during summer months, but most necessities need to be brought in from Yellowknife. Boat rentals on Prelude Lake available. Fishing is great. Canoes available from Yellowknife Scouts. Nature trail, about 45 minute loop close to camp.